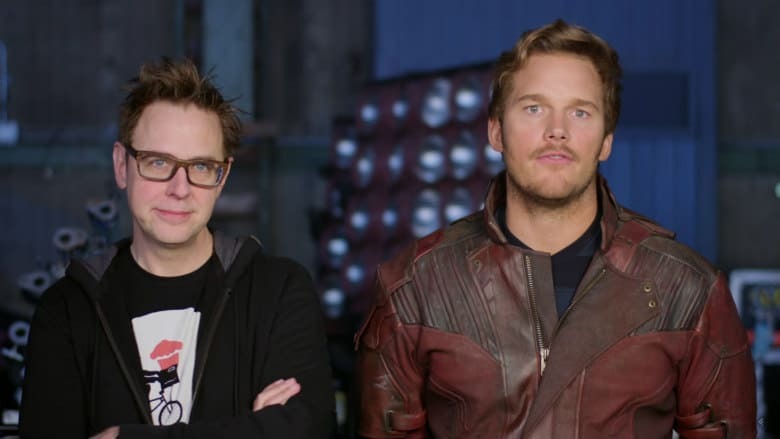 Guardians of the Galaxy 3 Script will be James Gunn’s | Nerd Much? Behind the scenes development on Guardians of the Galaxy 3 has been a bit of a soap opera. In April 2017, James Gunn announced he would be returning to write and direct the third installment. But then Disney severed ties with Gunn following the negative attention that was raised due to controversial tweets of his many years ago. There have been many questions about the project since, with one major focal point being the script. But Star-Lord himself, Chris Pratt, confirmed for fans that the Guardians of the Galaxy 3 script will indeed be the one that Gunn wrote. Disney and Marvel, after putting production of Guardians of the Galaxy 3 on pause, have yet to reveal when they intend to get the gang back together again for filming. Hiring a director to film Gunn’s Guardians of the Galaxy 3 script would certainly be an important first step. Even if Disney had a change of heart and intended to bring James Gunn back into the fold, it appears as though it’s too late. Warner Bros. and DC are apparently wooing the writer and director to write and direct Suicide Squad 2. A deal that sounds as though is essentially done.